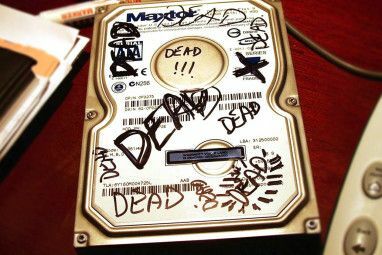 Do you really know what your hard drive does whenever you read a file from it or write one to it? 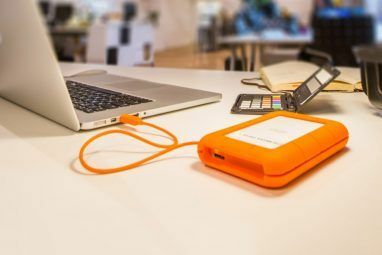 Our hard drives can now store massive amounts of data, and that massive space requires a high level of organization in order to prevent issues and maintain performance. 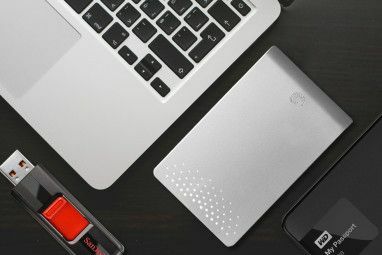 Hard drives can be well organized through the use of file systems, which operating systems usually set up before installing themselves onto your system. But, as you might guess, there’s more than one file system. So what file systems are out there, what do they do, and what are their differences? The most common file system in the entire world of computing is File Allocation Table, or simply FAT, and is developed by Microsoft. It has been around for quite a while, and has received updates in the forms of FAT16 and FAT32, although generally they’re all just called FAT. Out of all the major file systems, FAT is by far the simplest and can only hold files with sizes up to 4GB each. It uses a linked list structure, and is therefore not a “journaling” file system. It is rarely found on hard drives anymore, but almost always on removable media such as USB drives and SD cards. Virtually all operating systems have support for FAT file systems, so it is readable on any device. It’s also very easy to format a drive to FAT How to Format a Large Hard Drive With FAT or FAT32 How to Format a Large Hard Drive With FAT or FAT32 The FAT and FAT32 formats support up to 16TB. Yet Windows sets a 32GB limit for formatting with FAT or FAT32. We'll show you how to format larger drives. Read More . NTFS, or New Technology File System, is the next-generation file system developed by Microsoft. Its structure is more complex, and has been used for Microsoft’s operating systems starting with Windows XP. It is a “journaling” file system, meaning that it keeps records of all operations on the device. This journal can help detect errors and recover from them for instances such as drive failure or a power outage. Files up to 16 TB each are supported, with maximum volume sizes up to 256 TB. While not quite as universal as FAT, it can still be read on all major operating systems with ease. NTFS is best suited for hard drives and other not-easily-removable media, although removable media can still technically be formatted with this file system. You can also look up more information about the advantages of NTFS over FAT How To Reformat Your FAT32 Drive To NTFS - And The Advantages Of Doing It How To Reformat Your FAT32 Drive To NTFS - And The Advantages Of Doing It You may not know it, but choosing the right filesystem for your drives is actually pretty important. Although the main idea of all filesystems is the same, there are many advantages and disadvantages over each... Read More . HFS+ is a file system developed by Apple for use on their Macintosh computers. It uses the same type of structures for its file allocation as NTFS, but the two file systems are not compatible. The file system is able to support files and volumes of up to just over a million terabytes. It is also a “journaling” file system, allowing easier recovery when errors occur. As it is meant for Macintosh computers, it is only found on hard drives within those systems. Mac OS X and Linux are able to use the file system, but Windows is not. ext4 is the currently most-used file system for Linux systems. It is the successor to both ext2 and ext3, and includes some performance increases using different techniques. It is also a “journaling” file system. ext4 is meant for hard drives, so they do not appear on removable media because of its properties as well as its lack of widespread use. It is able to support files up to 16 TiB and volumes up to 1 EiB. Because ext4 is backwards compatible with ext2 and ext3, people can mount such volumes as an ext4 volume to get a slight performance increase thanks to a different allocation algorithm on the software end. Windows users are able to at least get read access to ext file systems with Ext2Read. Additionally, if you’re new to Linux, you can check out our awesome guide on getting started. btrfs, pronounced “B-Tree FS”, “Better FS”, or “Butter FS”, is an upcoming file system for Linux distributions which aims to fix many of the issues found in the older ext file system series. The file system is also a “journaling” file system. Some differences include a maximum file and volume size of 16 EiB, as well as capabilities of data pooling (spanning the file system across multiple physical hard drives), nanosecond time resolution, snapshots, transparent compression, transparent encryption, and data deduplication. At least for now, the only operating system which supports btrfs is Linux, and it is currently considered unstable. It’s predicted that btrfs will eventually replace ext4, and this article explains why Ext4 vs. Btrfs: Why We're Making The Switch [Linux] Ext4 vs. Btrfs: Why We're Making The Switch [Linux] Quite honestly, one of the last things people look at is which file system is being used. Windows and Mac OS X users have even less reason to look, because they really have only one... Read More . ZFS is a file system which is known only in the Unix world. With support for files and volumes of up to 16 Exabytes, ZFS isn’t known for performance but supports plenty of great features such as data corruption protection, combination of file system and volume management concepts (including pooling), snapshots, transparent compression, transparent encryption, and data deduplication. It is considered stable since 2005, however, and is supported with Mac OS X 10.5 Server, Linux, and other smaller Unix-like operating systems. While it seems similar to btrfs, ZFS doesn’t promise the same performance as btrfs. ZFS is also more common in enterprise environments than it is in homes. 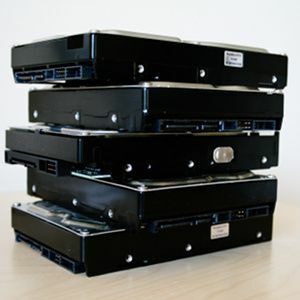 More likely than not, you’ll run into these 6 file systems at some point in your life. As you can see, these all have their different advantages, including operating system support, size and volume sizes, and file system-specific functions such as compression and encryption. Therefore, the choice is up to you which file system you’d like to use, depending on what your usage is like, what media you’re considering, and what operating system you use. While choosing a file system doesn’t seem to make much of a difference, choosing the right one can make your experience better. What file systems do you use, and which are your favorite? What file system features do you like the most? Let us know in the comments! Explore more about: File System, Hard Drive, NTFS. I am planning to build my NAS system. Can anyone please suggest better filesystem for this? Which one is stable and secure? I am starting with 3 TB NAS. Lol! How is ZFS not known for performance? Have you read about ARC and L2ARC? What about ZIL cache? Let me think about this....would I rather have my filesystem data cached in RAM or not? Enough said. My tech hubby ripped some of our BluRay Disc's to Hard Drive Storage - one of them with 5.1 sound was over 5 GB. We have been finding that NTFS sometimes eats files. No virus (we ck regularly) it just seems to do it. We are doing a change over to ZFS with Free BSD OS Dual Boot with Windows 7 (for my games.) But for some reason ZFS takes up more space and we can't fit as much on the Hard Drive. Better than losing files I guess. ReiserFS is good for many thousands of tiny files, such as text files, and is used in some Linux servers for optimized file system based on the intended use. Also, DMS, NWFS (I may have missed a few here.). I never knew that there were such big file sizes! I can't imagine some of them either. I'm just going to guess that they can be virtual machine disk files. i use NTFS. why? 1. windows machine; 2. can create files > 10GB. btrfs is still rather new, and ZFS comes from the BSD variants of Unix. First, ZFS is from Solaris not BSD. It was ported to BSD but did not originate there. Second, you claim that ZFS is not known for performance. While ZFS on a single disk system may lack in performance, it was designed for large multi disk systems. In those situations, due to RaidZ, it VASTLY outperforms btrfs. ZFS is also production server ready, btrfs is not. Agreed, Take a look at the read/write speeds over raidZ. I've got 5 1tb green drives in raidZ and my read speed is around 400 MB/s. Not bad for 5900 RPM green disks. The article is a quick overview and doesn't go into the nitty-gritty for any file system. I didn't know how much ZFS could do before reading this!! My MacBook tells me that its hard drive has the file system Mac OS Extended. Is that the same as HFS+? Danny, Danny;... I use to think you had a lot of hair on yo' head... WRONG!! That is head space up there to keep yo' elephant sized brain in! Man, thanks for the well researched and superably written article! Now, thisis some GREAT info! Thanks Danny & MUO!! Thanks! Good info about the files systems I am new to the ZFS and HFS+ systems. Why did you leave out NWFS? Unfortunately it is still used in the enterprise environment. NWFS is an old FS that Novell developed. It has many benefits over NTFS, but permissions get difficult when working with Windows Server 2008/2012. as always, Linux has the most variations. exFat is shining on mobile storage. Why did you leave out exFAT? It's very similar to FAT and it's barely being used. I recently got a large capacity SD card and it still uses FAT. That remembers me that this is going so fast that It is actually a shame for example the thousands of dollars expended transforming Beta to VHS and then to DVD and now to flash!!! poor grandmas! Flash is dead. Everybody knows that. You'd be better off using MP4 video files. NTFS was out long before XP, Windows 2000 and Windows NT both used it. It may have been out before, but it wasn't used for the operating system until XP. I remember having to reformat the hard drive when XP came around. Windows NT 4.0 used NTFS as default filesystem, Windows 2000 too. You are correct. The NT OS's were using it at least at NT 3 because I was running the server and it requested the user to format the HD's in NTFS for stability and journaling. I like NTFS because of it's file size limit. You forgot to mention FAT12, the FAT file system for floppies (and other low-capacity storage). Also worth mentioning is Microsoft's DMS file system, a modified FAT12 that allocated more storage to a single CAB file (and less to the disk bitmap and root directory). Thanks for the info! I had to shudder a bit at the mention of a CAB file... I never liked them, even way back.